Students in the architectural engineering design course spent the fall semester creating 15 potential designs for a new animal shelter in Rolla and presented six of them to the Rolla City Council in December. Two of the finalists are pictured above. The current shelter has served the Rolla community for over 40 years, but community need has outgrown the space, and the building itself has numerous structural challenges. 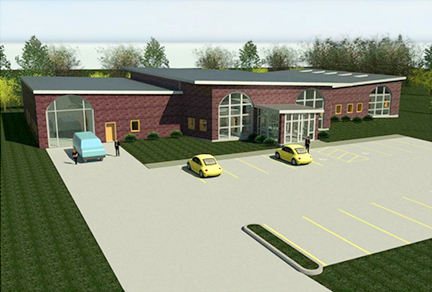 Project organizers and city planners believed fundraising for the $1.2 million construction project would benefit from design suggestions to help prospective donors visualize the new facility. S&T students were happy to help.